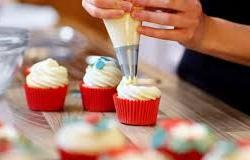 Let the wildlings loose in the kitchen with this fun and creative class on baking and Icing. We will make cupcakes, tarts and treats with decorations and yummy icings. We will focus on basic baking skills, lining pastry tins, folding batter and icing techniques. This is a hands-on session and will start at 14:00 till 17:00 and will include snacking on the end products.